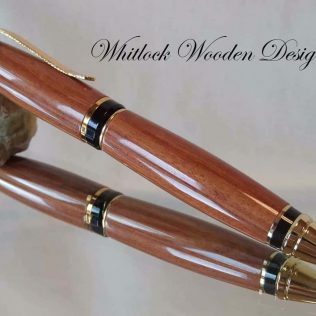 A wood pencil set hand turned on a wood-turning lathe in my own UK workshops. 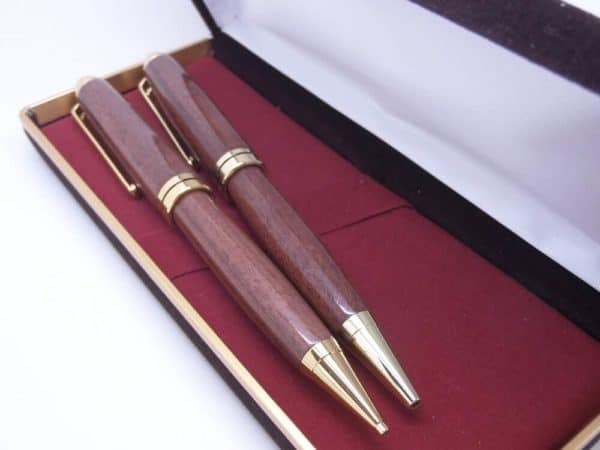 The Rosewood pens both have high-quality gold-plated trim handcrafted from Santos Rosewood. 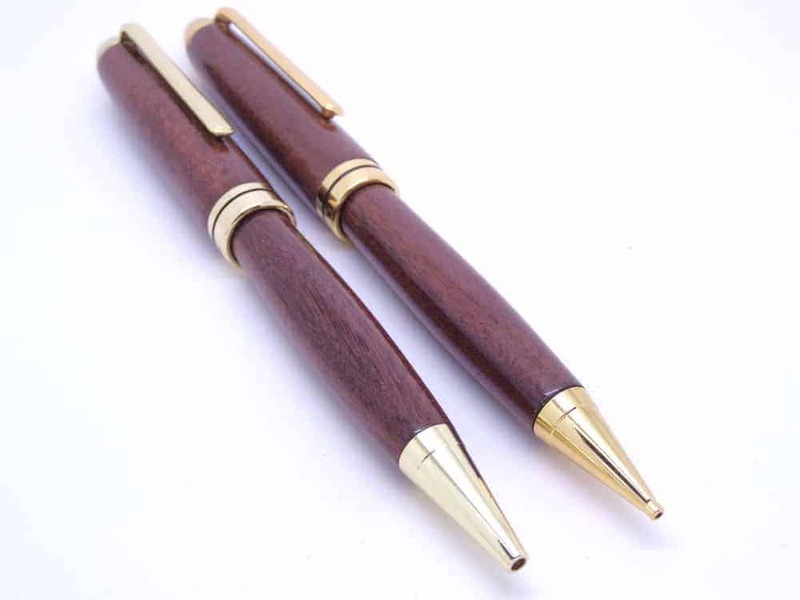 This natural wood also known as Pau Ferro, Bolivian rosewood has the botanical name Machaerium scleroxylon. The mechanical wooden pencil has a superior twist mechanism to extend and retract the 0.7mm lead. 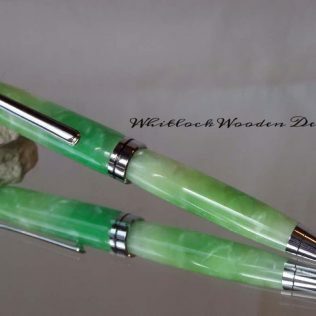 We mount the wood on the lathe and hand turned to round and shaped. 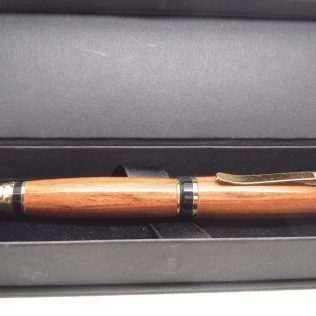 Once shaped it needs sanding through to 12000 grit for a super hard and durable high gloss finish. 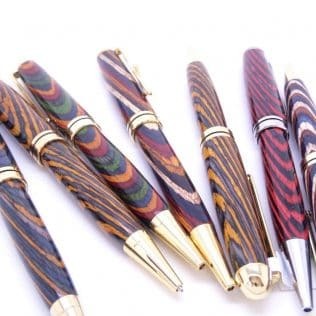 Some wooden pens only use a wax or oil finish but this is not durable enough to protect these pens over time from the natural oils and stains it will pick up. 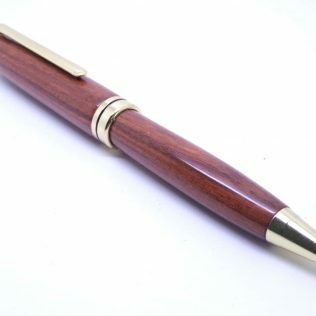 This rosewood ballpoint uses a cross type medium point black ink refill available from any good stationery suppliers. 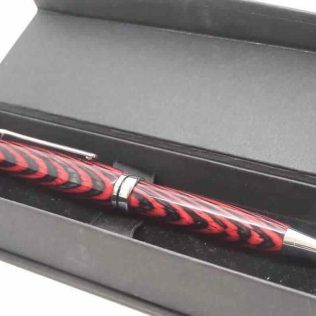 Each pen gift set comes in a black presentation box as a standard. 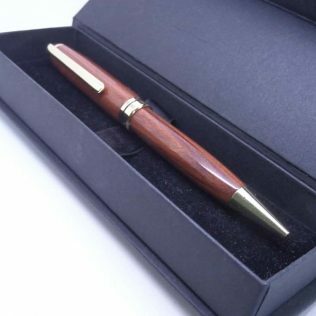 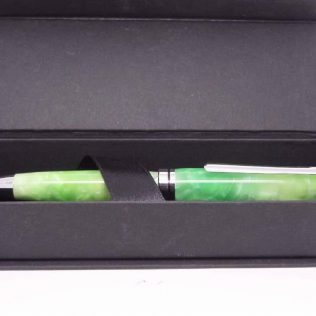 With every piece of wood different, this gift pen will make unusual wooden gifts for him on Father’s Day or Christmas gifts.